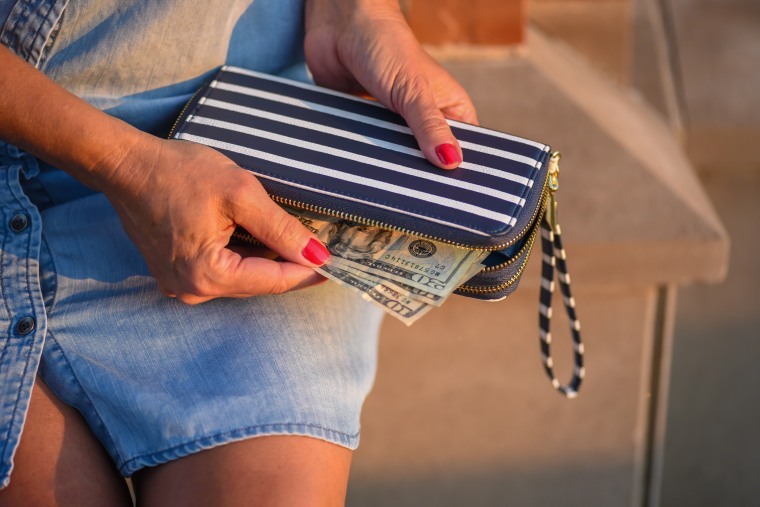 Whether you need to take a hard look at your budget or search for a new place to stash your cash, there are simple things you can do now to set yourself up for a financially successful 2019. With just four full months left to go in 2018, I’m sure I’m not the only one who is starting to feel the pressure. There are so many things I wanted to do this year that I’ve fallen behind on. The end of the year is often a stressful time in general, but it can be especially stressful, financially, due to the winter holidays. But don’t panic! There is still time to get back on track with your money-related goals. It’s easier than you think to turn your finances around — and it won’t require that you stop spending money all together. There are some tasks that are much easier to complete than you think that can help the rest of your year go smoothly. If you have some time to spare today, or a few hours this weekend, that’s all you need to set yourself up for a financially successful 2019. 1. Review your spending to see what you can cut immediately. When was the last time you set aside a portion of your day to closely examine your recent spending? Making the time to review your budget regularly is a great way to catch yourself if you’re starting to go off track. Whether you do this weekly, monthly or quarterly, it’s important to make it a habit so you can course-correct early on. Set a reminder on your phone and block out up to thirty minutes of your day to take an honest look at your finances. After you’ve decided what you can learn to go without, take into account what you enjoy spending money on, and work that spending into your budget if you haven’t already. If you already have three to six months of expenses in your emergency fund, consider funding other accounts for your short- or medium-term future with the money you’re saving by cutting down discretionary spending. If you consistently come in under the 30% discretionary spending (if you’re following the 50-20-30 rule), consider saving more. Once you’ve reviewed (or created) your budget, the most important thing you can do is to actually stick to it. Chelsea Hudson, Personal Finance Expert at TopCashback.com, advises, “Hold yourself accountable to your newly-adopted budget. Keep track of every dollar you spend in a journal or spreadsheet to ensure you don’t overspend.” Take a few minutes every day to track your purchases and ensure that you’re meeting your goals. This will make every subsequent spending review an easier and more pleasant experience than waiting until the end of the year to try to piece together what went wrong. 2. Set savings goals for your holidays and other future expenses. Now that you know how much more money you can allocate towards savings, it’s time to look to the future. Gifts for your loved ones, new tires for your car, a dream vacation and home repairs are all examples of infrequent expenses that can potentially wreck your budget. While it’s possible to dip into an emergency fund or use a credit card, one great financial strategy is to anticipate these expenses instead of just reacting to them. Take 30 minutes today to set goals for your holiday season (or other big end-of-year expenses) so you know what you’re up against and can start saving now. Setting automatic transfers to a savings account should only take a couple minutes and will ensure you actually set the money aside. Other saving strategies include doing money challenges or spending bans, where money is diverted to other accounts instead of the discretionary portion of your budget. 3. Open a high-interest savings account and transfer your nest egg to it. But where should you put all the money you have saved for immediate goals? When I first started managing my own finances, I didn’t know that there were different types of savings accounts that came with wildly different interest rates. I just assumed that the paltry amount my traditional bank offered in connection with my checking account was the best I could do. It will only take a couple minutes out of your day to search for the online savings accounts with best interest rates for your money. From there, it won’t take long for you to set up an online savings account and start taking advantage of the higher rates. Last year, I earned $130 in interest because I used high-interest savings accounts instead of just accepting the rate my traditional bank offered me. That’s a respectable chunk of change for just a couple minutes of work. However, if you have a longer spending horizon, you might want to consider investing so inflation doesn’t take as big a bite out of your money. “If your goal is a few years out, consider investing that savings so you can take advantage of the power of compounding and investment growth,” recommends Wendy Liebowitz, CFP® and Vice President at Fidelity Investments. 4. Get a copy of your credit report and check your credit score. Your credit score and report can be major influences on your day-to-day life. They tell potential lenders and even employers whether or not you have a good track record with your credit, which helps them decide just how much of a financial risk you are. However, it’s not uncommon for your credit report to have errors in it, and those errors can drag down your credit score. If you haven’t reviewed your credit reports in several years, it’s wise to check them all at once at annualcreditreport.com and from then move on to checking them at each bureau throughout the year. Ensuring that your credit history is accurately reported is worth a few hours of work every year, considering just how big an influence it has on your day-to-day-life. Checking it today is a simple way to see where you stand — and if your score needs work, now is the best time to start improving it.